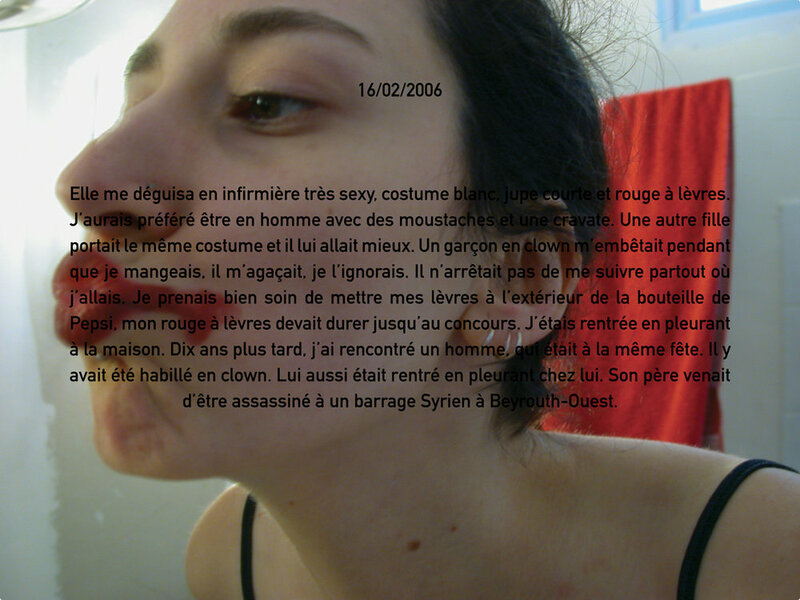 Vous écrire, 45 Digital Photographs, mounted on Dibond, Paris, France, 2006. Exist in two Format: 45x60cm and 30x40cm. Dès que le calme revenait, nous allions à la corniche de Beyrouth. Coumba jaune entre les jambes (ballon gonflable sur lequel on s’assoit et on sautille pour avancer), je bondissants frénétiquement. 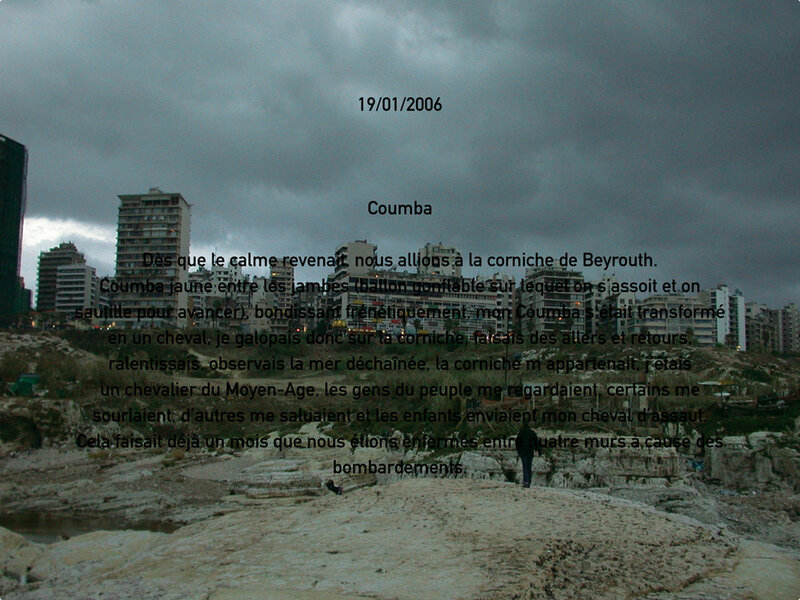 Mon Coumba s’était transformé en un cheval, je galopais donc sur la corniche, faisais des allers et retours, ralentissais, observais la mer déchaînée, la corniche m’appartenait, j’étais un chevalier du Moyen-âge, les gens du peuple me regardaient, certains me souriaient, d’autres me saluaient et les enfants enviaient mon cheval d’assaut. 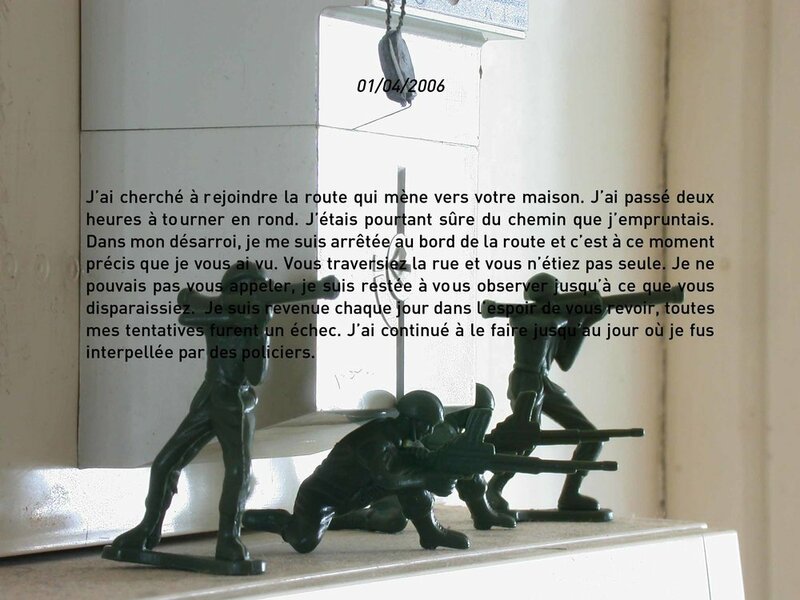 Vous écrire is a 45 image series overlaid with text (French). 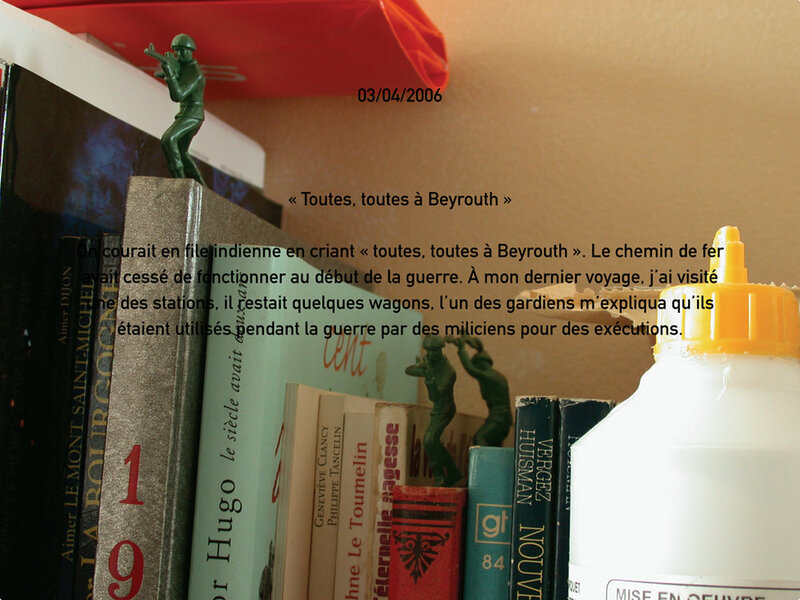 For a period of two months, Fattouh sent to the same person, without prior notification, an image with text in the shape of a postcard, through the mail. The artist set only one rule: write a text, a sentence or a word and associate it with a photograph she took every day, which explains the chronology, that is, the inscription of dates. Each text is an intrigue without beginning or end, where the limit between reality and fiction is abolished allowing the spectator to construct his or her own story. The photographs are not meant to illustrate the texts, rather, the artist attempts to share an emotion through a personal glance of her body and the space around her. 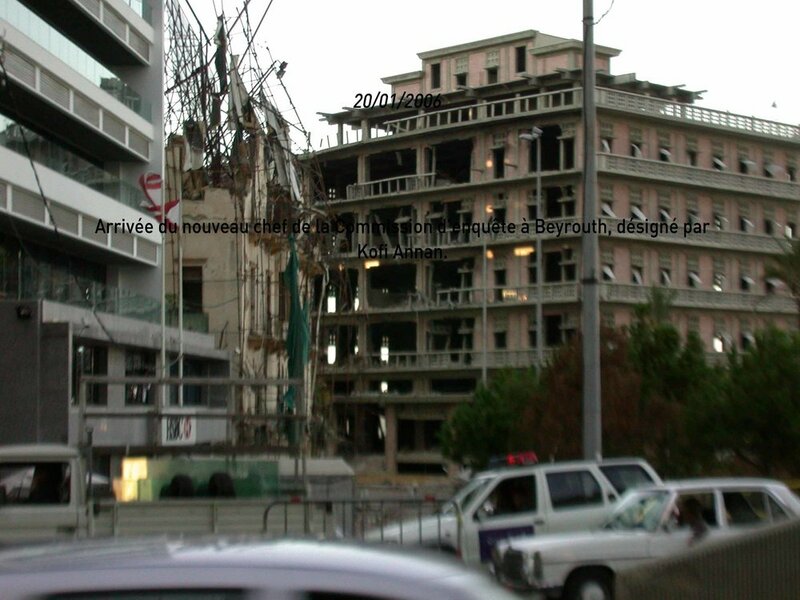 The photographs were also published in a book by Amers Edition in Lebanon. All texts are translated to Arabic and English.